I'm Shoe in Love 4: The Perfect Bazaar for Shoe Addicts! Are you a shoe addict like me? 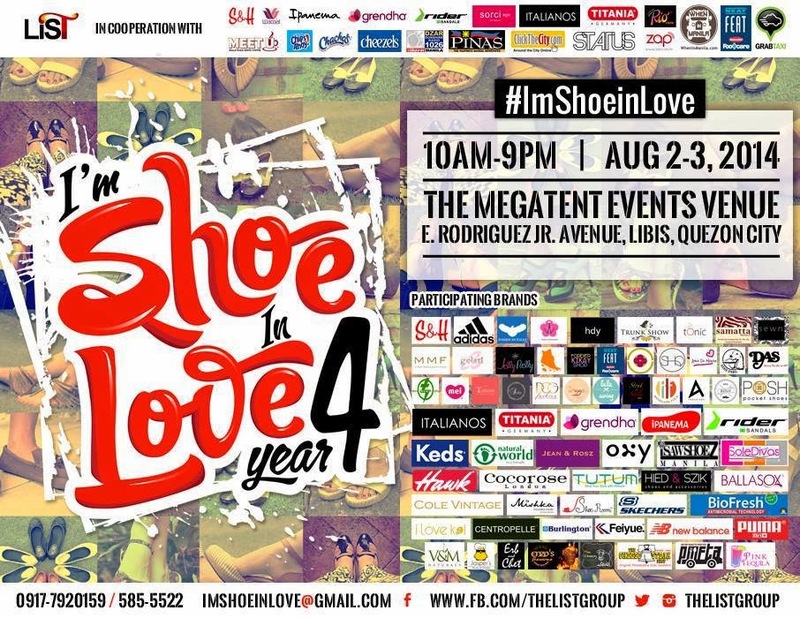 Then the I'm Shoe in Love 4 bazaar would definitely be the place for you to be this weekend from August 2 to 3! Get ready to drown in a shoe-filled haze of great collections by big commercial brands and upcoming ones. Some of the participants include Adidas, Keds, Ipanema, and Crocs, to name a few. Grab the latest styles and the best markdowns from your favorite brands this weekend and enjoy coffee from Meet U Coffee while you're at it! You can even get rebates from GrabTaxi if you take a GrabTaxi cab to the venue. ;) Awesomesauce! I'm excited to see Cole Vintage because last year the pair of the shoes that I liked to buy didn't have the size anymore. I'm excited to see Adidas, Keds and Puma! I really love rubber shoes and I would really love to have something from any of this three. I hope and wish that I'll be able to buy a pair from them.